GameMill Entertainment has announced a multi-player console racer title set in the Nickelodeon universe. Characters from Spongebob Squarepants, Teenage Mutant Ninja Turtles, Rugrats, Hey, Arnold! and more will appear in 24 different Slime-themed tracks. 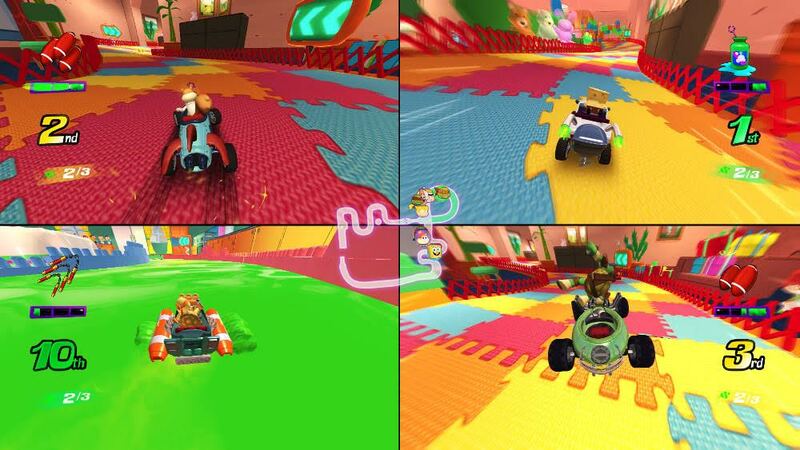 Four player local co-op will be available as well as a Battle Mode to win cups and Kart upgrades. They are shooting for the game coming to all major consoles worldwide for the 2018 holiday season.